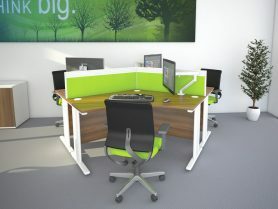 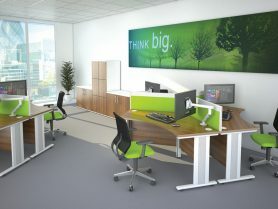 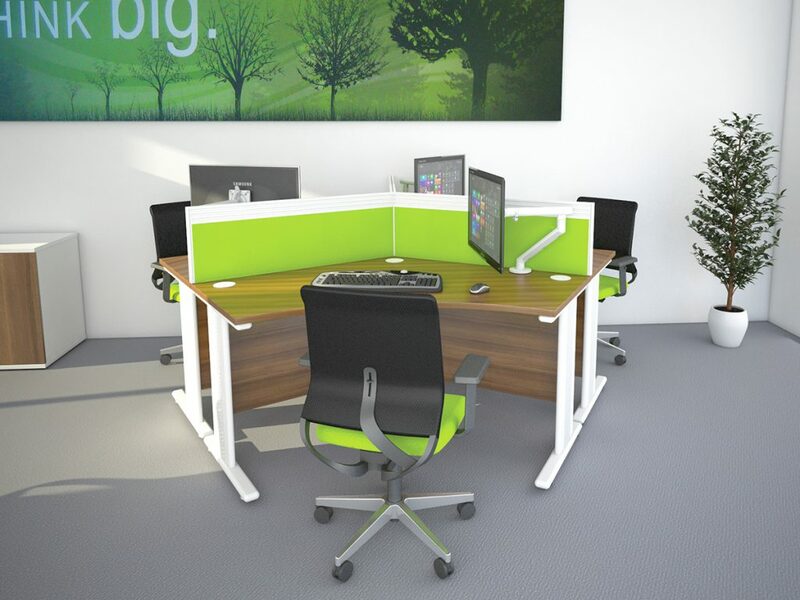 Qudos is our fully cable managed cantilever leg desk range. 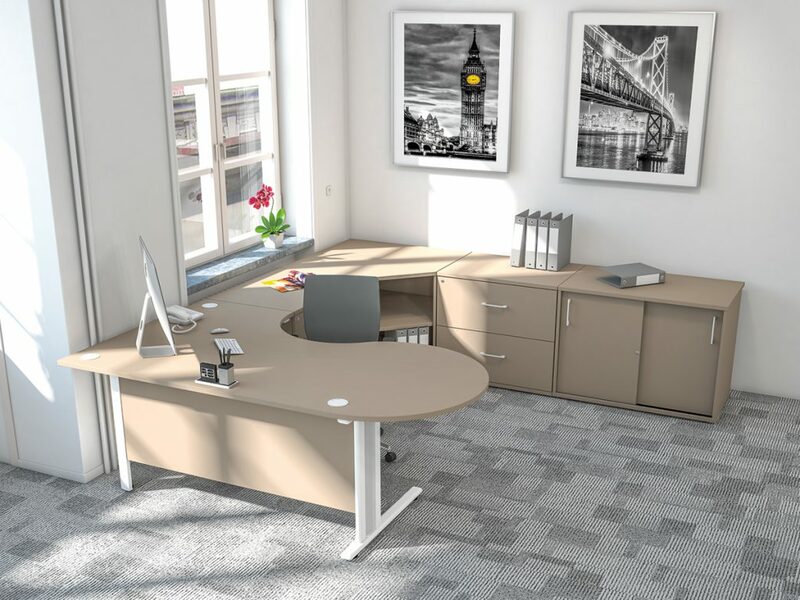 With its double upright, half round oval design and 3 way internal leg extrusions add more of an aesthetic appeal. 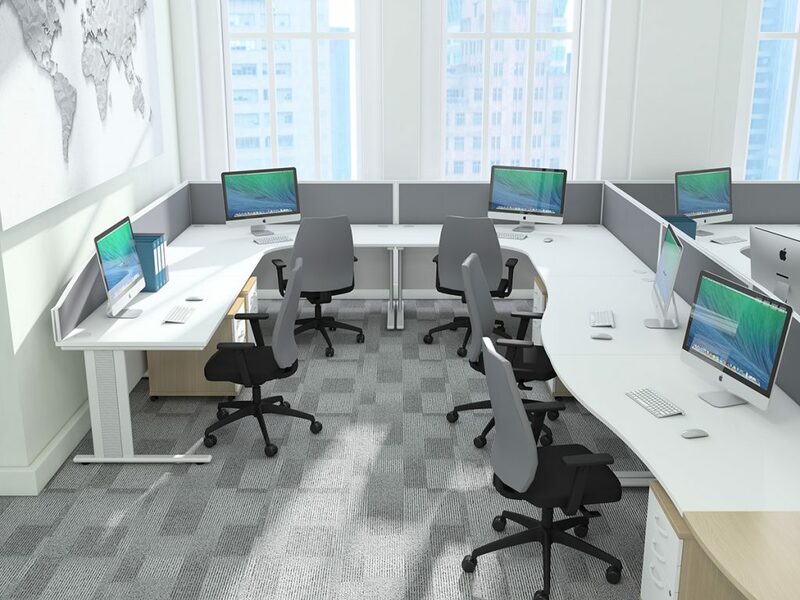 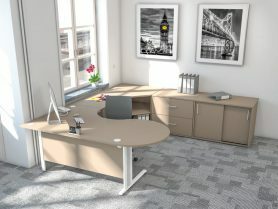 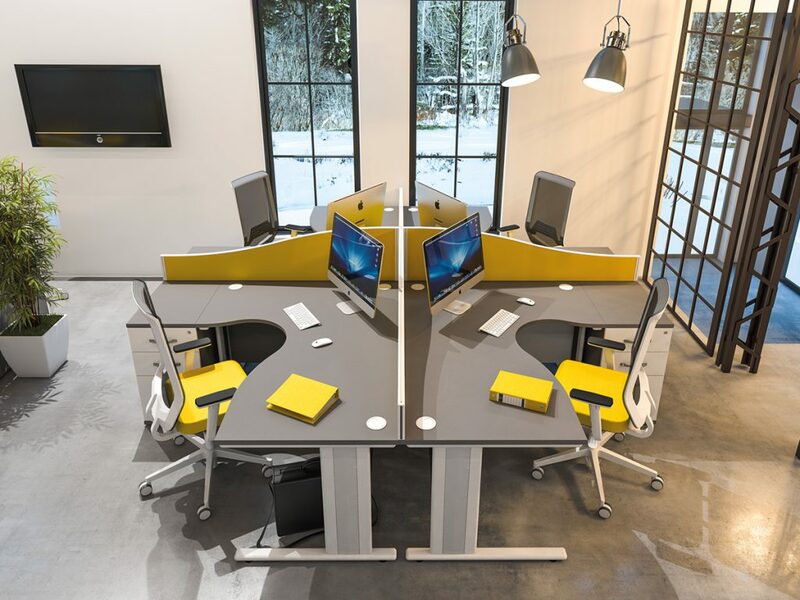 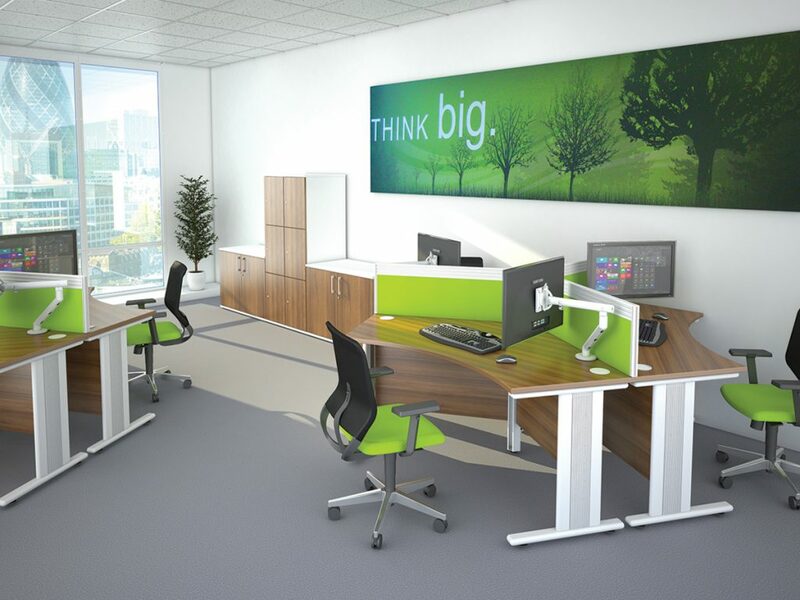 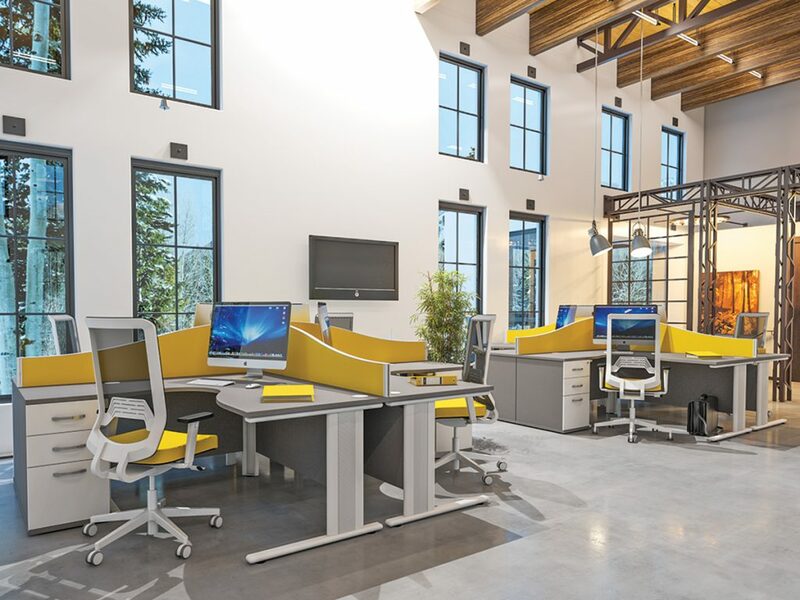 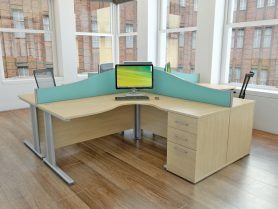 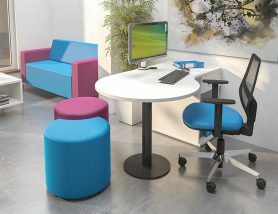 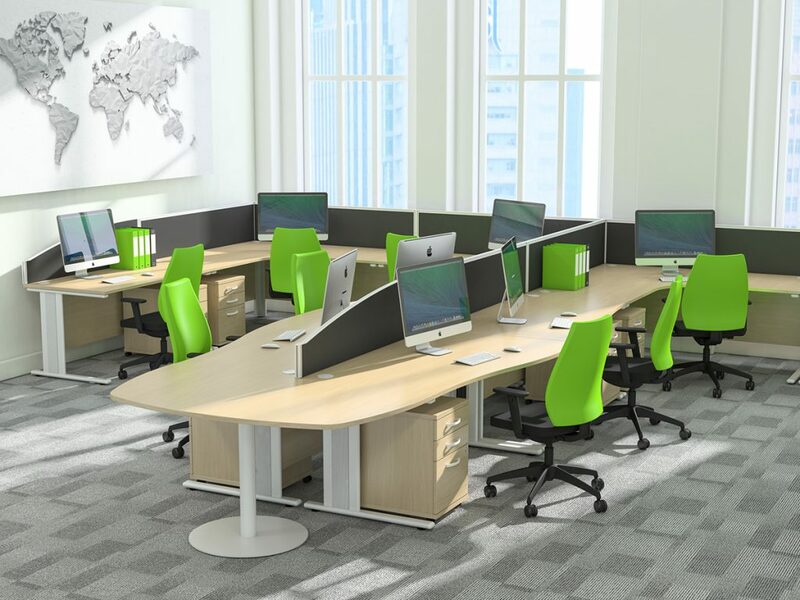 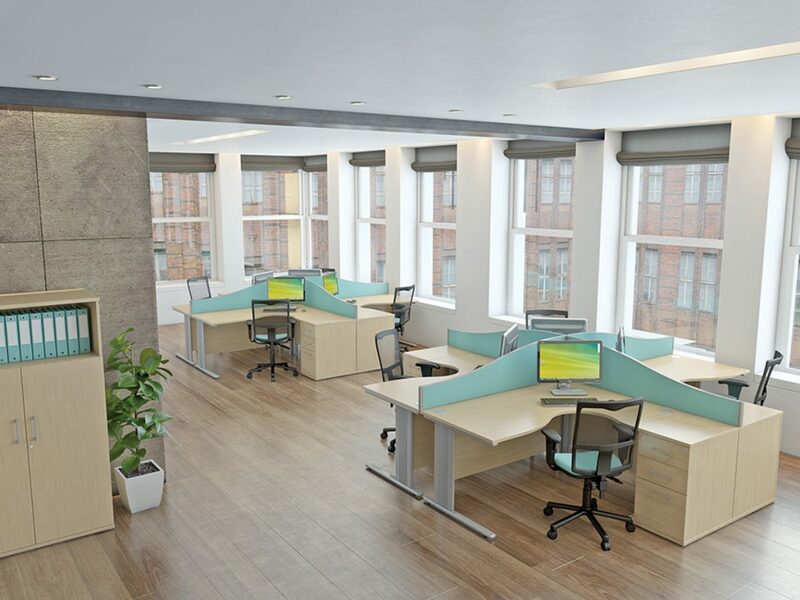 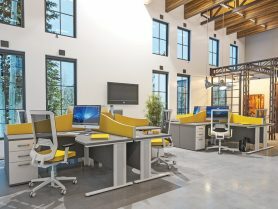 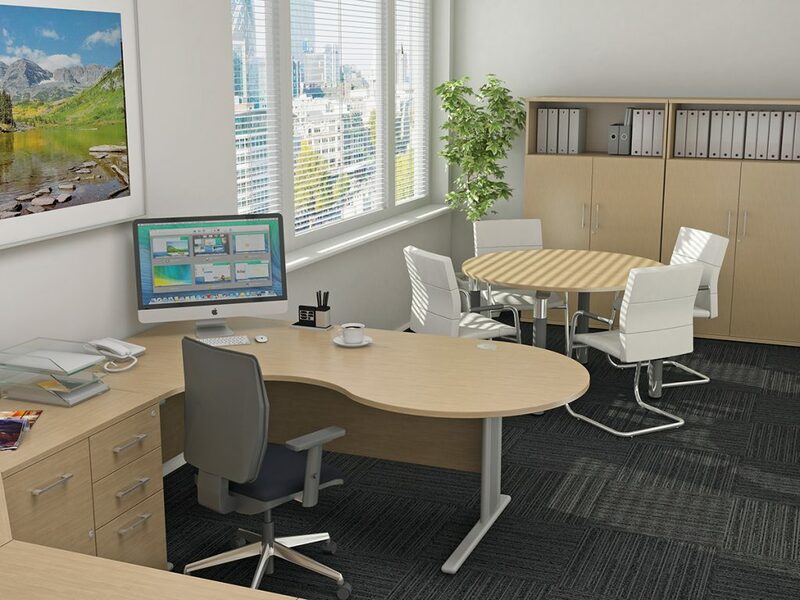 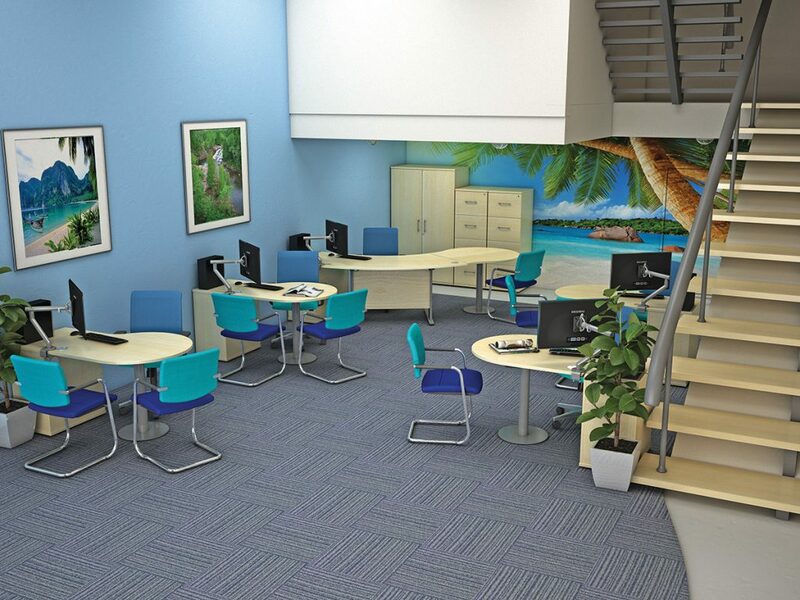 Offering an array of unique desktops in various shapes and sizes, Qudos can provide the complete individual desk solution. 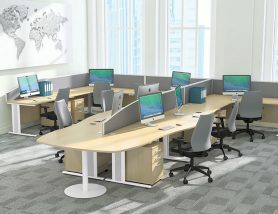 Cable ports and notched modesty panels for cable routing are supplied as standard. 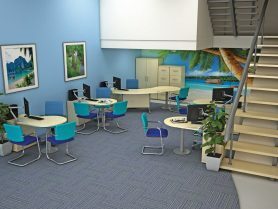 Reception desks and conference links complete the system.